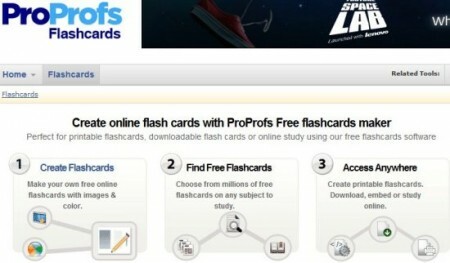 Here are 5 free flash card maker to create own flash cards. Flash cards can be used for easy memorization and educational purposes. Let’s look at these flash card maker tools in detail. ProProfs Flashcards is free application that allows you to create attractive flash cards for free and quickly. The application is easy to use and let you features for free of cost and you can create flash cards for your students and children for easy memorization and educational purpose. Using this free web application makes effective flash cards using colors and images for quick reference. Flash cards are easy medium for quick reference and easy memorization. You can create flash cards online by using free tools and features. You ca add colors and images for different themes and scenario using this free web application. 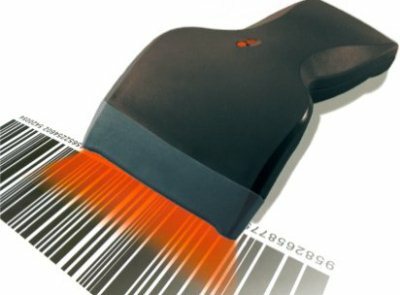 It is easy to use software which is simple and intuitive to use. Create simple yet handy flash cards for various categories like arts, business and educational fields. With this intuitive online too you also get free to access website gallery for quick and efficient search for flash cards online. You get variety of flash cards for different use and presentation with images and interactive services. You can get access to gallery for free and browse from 100s of cards. Since this web application is easy tool for those who uses different computers concurrently. You can save your creation with this web application forget about worrying of getting it back up. The web application offers you free account registration in which you save your creation and choices and access them from anywhere. The web application does not require you to download any file. Simply register for free account with short and simple account info and start using this free online flash card maker online and browse through 100s of categories for flash cards. Flashcard Master is a free application online for creating intuitive and simple flash cards for free. The tools and features offered by this free online tool are comprehensive and effective to create, design and print flash cards for any use. These flash cards are not only useful for educational purpose, but also used for training and other useful purpose in business organization. You can easily create printable flash cards with this easy to use web application. You get the output in various file formats like XML, CSV, XHTML, LaTeX and Flash card pro file formats. So that you can create and save your flash cards in different media for easy to retrieve back up. 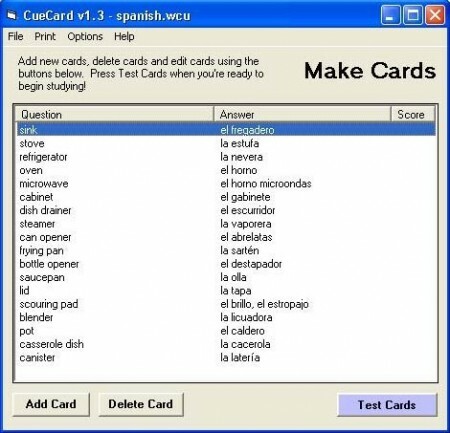 The flash cards created by this freeware are intuitive and real effect like cards that can be used for wide variety of use. 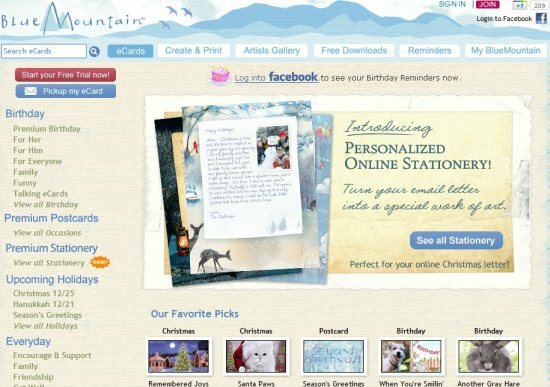 they are print friendly and supports text fields so that you can customize the text fields and add captions to the cards as per your needs. You can design flash cards in various layouts and produce effective and attractive flash cards for your audience. You can create flash cards for any categories ranging from arts, educational, science and mathematics. You also get four different modes of reviewing your flash cards in Normal, Shuffled, and Manual or Timed modes for making your flash cards presentable and useable. The application enables you to self test your flash cards and enjoy using them. Flashcards+ is a free application for iPhone users that lets you create fully functional and attractive flash cards with your iPhone. The app is easily available in AppStore and you can download the application in your iPhone. This is a free iPhone application and offers you wide features and functions for creating easy use flash cards. You need not register your self nor need you to fill up boring sign up forms. This free iPhone application is great choice for iPhone users. The application has been designed for iPad and iPhone both. You get flash cards supported by most of the languages. You can retain and use deck of flash cards with realistic human voices and it supports 21 languages in all. These talking flashcards will help you to review and learn pronunciation n better way. 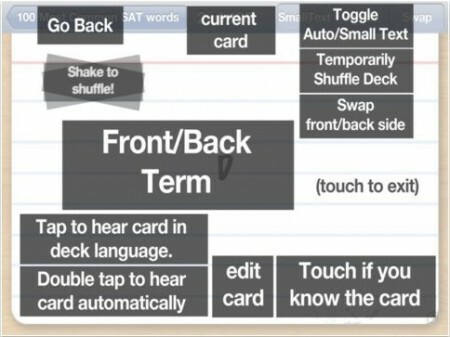 Creating deck of flash cards is very easy with this free ware. You also get many tools and functions that not only help you to create cards but also use it to add decks and cards to the existing one is made seamless and as fast as possible. Moreover, this application is so easy that it provides you with number of orientations. It gets tilted for you so that you need not tilt. The graphics and images used in the iPhone app is so classy and attractive that it makes study for you more exciting and interesting. CueCard is a free software that allows you to create free cue cards. 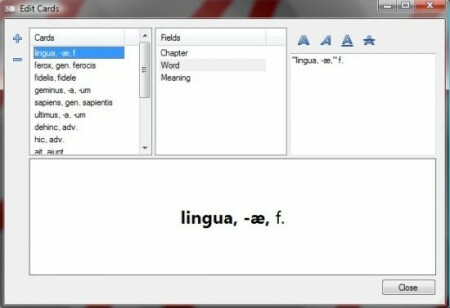 The free program is intuitive and lets you create simple flash cards by using this free software. The application offers you interactive flash cards that can be assigned a weight based on its answer history. You can have a deck of cards for your study and they can be placed side by side, with each card receiving an area proportional to its weight. With this freeware you can also test your cards easily. The test mode let you test your cue cards and accordingly you can test the answers on them. The dialog box opened for testing the cards has various options like go back, skip card, show answer and make cards. The user interface is dead simple and you can create simple flash cards with this free flash card maker. The main view of this freeware helps you to add new cards, delete and edit cards with easy to use features. You can also translate the language options with this free software and test them concurrently for review. However, adding cards to the deck of cards is also very simple. Just press add a card, you will see dialog box. Just write your question in the upper text field and answer in the lower. When you are done press ‘done’ button and the card will be added to your deck. You can also add images to your cue cards for easy reference and quiz purpose. For using this free program you can download it from the web page and install it on your computer. It can be used offline and you need not require internet connection for making intuitive flash cards for your study. 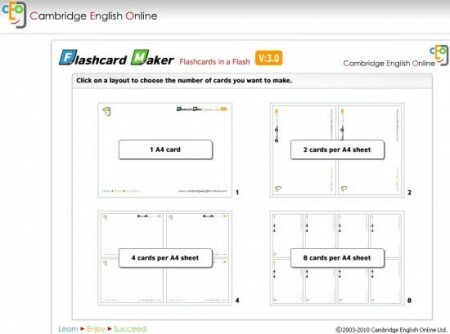 FlashCardMaker from Cambridge English Online website is a free web tool that allows its visitors to create flash cards for free for their kids and students. The web application is simple and intuitive you can create beautiful flash cards for your project. You can add images and text to the cards and also determine the number of cards in the deck. The application also lets you print these flash cards on your A4 size paper for convenience. Creating flash cards with this free application is extremely simple and easy. You can easily add images from the custom library or draw your own images. With the combination of images and text you can create effective flash cards for your kids. The application offers you printing with your hardware so that you can share them with everyone. Once you have chosen the layout of the cards, you will be presented with a box on the right side of the window. You get options like Use image library, draw your own image, add text and phonemic script. The web application has comprehensive and detailed set of images in the library you can choose among hundreds using this free tools. Edit or resize the images in your cards. You can also add text and Phonemic scripts in the below to teach pronunciation to your students. Since this application is web-based, you need internet connection for the same. However, you need not download any file or sign up for registration. The application let you create effective flash cards instantly without wasting time and quickly. This is the most simple way of creating flash cards for your projects and you can use it for your students or trainees to help them memorize things easily and quickly.